Show your feet... with these white ballerina ankle socks, not a problem! 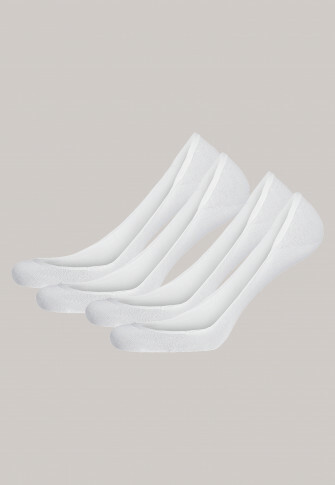 The seamless finish and the elastic edging do not only ensure that the ankle socks fit perfectly but with a high cotton portion, a fresh and dry feeling is also guaranteed at any time! Ultimately, in addition to your favorite ballerinas, only the delicate skin, and a pretty ankle should be seen, and the comfortable ankle socks should only make your feet feel good in private and not be seen!